Junior Delontaye Morrow (Medina) won 3 events to lead the Ohio Wesleyan men’s indoor track & field team to the team title at the Wooster Indoor Quad, hosted by The College of Wooster on Saturday in Wooster. Ohio Wesleyan won the meet with 128 points to 91 for Wooster. Kenyon finished third with 47 points and Earlham scored 33 points. Morrow won the 60- and 200-meter dashes in respective times of :07.12 and :23.25, and took the long jump with a leap of 21-6¼. He also combined with freshman Clay Cheney (Marion/Pleasant), junior Tommy Davis (Clyde), and freshman Marquis Sena (Bronx, N.Y./Institute for Math & Science) to place third in the 800-meter relay. Freshman Cade Richeson (Worthington/Thomas Worthington) also won multiple events for the Bishops, taking the shot put with a throw of 49-2½ and the weight throw with an effort of 48-¾. Also winning events for Ohio Wesleyan were senior Nate Newman (Chillicothe/Zane Trace), who won the 60-meter hurdles in :08.83 and finished second in the pole vault; sophomore Jayson Blankenship (Medina), who won the pole vault by clearing 13-5¼ and placed third in the high jump; Davis, who won the 400-meter dash in :52.98; and sophomore Ryan Lesmez (Arlington, Va./Yorktown), who won the 800-meter run in 2:03.95. Lesmez also led off the Bishops’ winning distance medley relay team, combining with sophomore Justin Friday (Fort Washington, Md./Georgetown Day School (D.C.)), sophomore Darcy Isaiah (Akron/Firestone), and senior Nick Horton (Westerville/North) to break the tape in 10:55.44. Sophomore Megan Sievers (Strongsville) won an event and helped a relay team take another win as Ohio Wesleyan won the team title at the Wooster Indoor Quad, hosted by The College of Wooster on Saturday in Wooster. Ohio Wesleyan won the meet with 135 points to 71 for Wooster. Earlham finished third with 56 points and Kenyon scored 42 points. Sievers won the long jump with a leap of 17-5¾. She also teamed with freshman Ashley Smiley (Delaware/Hayes), senior Emily Brown (New Concord/John Glenn), and sophomore Jaliyah Atkinson (Columbus/Groveport Madison) to win the 800-meter relay in 1:49.82. 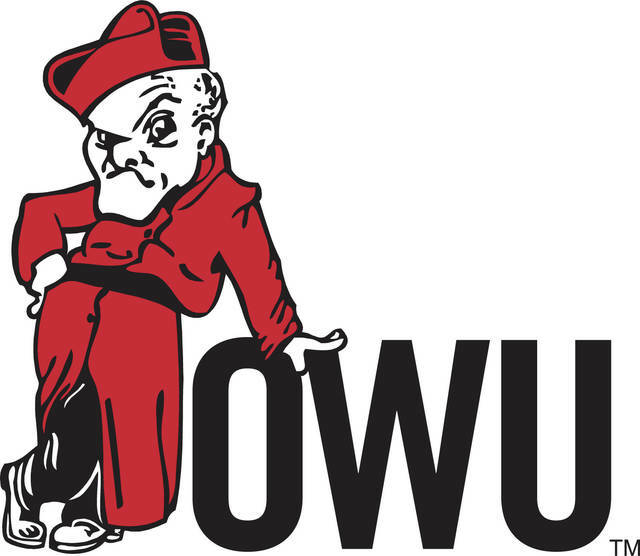 Also winning events for Ohio Wesleyan were freshman Courtney Owens (Columbus/Gahanna Lincoln), who won the 60-meter hurdles in :09.74 and finished fourth in the 400-meter dash; sophomore Madison Haggerty (Loudonville), who won the shot put with a throw of 34-8¾ and placed fourth in the weight throw; sophomore Erica VanHoose (Marysville), who won the mile run in 5:50.35; sophomore Cirrus Robinson (Ashland), who won the high jump by clearing 5-2½; and senior Nicole Rozsa (Silver Lake/Cuyahoga Falls), who won the pole vault by clearing 10-9¾. The Ohio Wesleyan 1,600-meter relay team of freshman Erin Ross (Middlefield/Cardinal), sophomore Morgan Smith (Tiffin/Calvert), Smiley, and freshman Makayla Trebella (Girard) won its event in 4:21.32, and the distance medley relay team of junior Rachel Bush (Mount Gilead), Trebella, Smith, and junior Cait Culberg (Dayton/Centerville) won in 13:11.91. OWU Sports Information contributed to this report.